Why do people always take photos of art at museums? 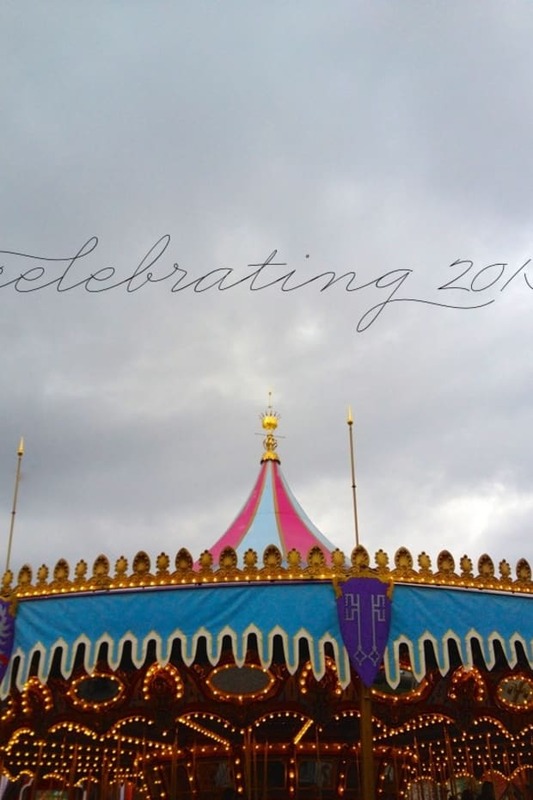 Every Friday, Emily and I share our "highs and lows" from the week in our newsletter. 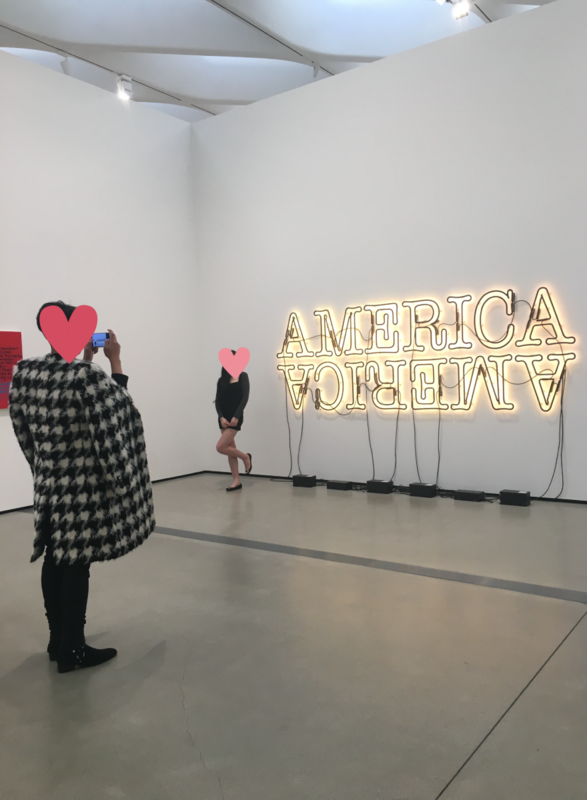 The lows are (thankfully) usually benign enough that I forget them nearly as soon as the week is over, but last week, I wrote, "Watching person after person take photos of art at The Broad instead of looking at it." I almost didn&apos;t include it because I didn&apos;t want to offend anyone, but it&apos;s been a few days now and I still haven&apos;t been able to shake the feeling. Before going to The Broad, I knew exactly two things about the museum: That it holds an impressive collection of postwar and contemporary art, and that one of those pieces is a neon sign that says "AMERICA." 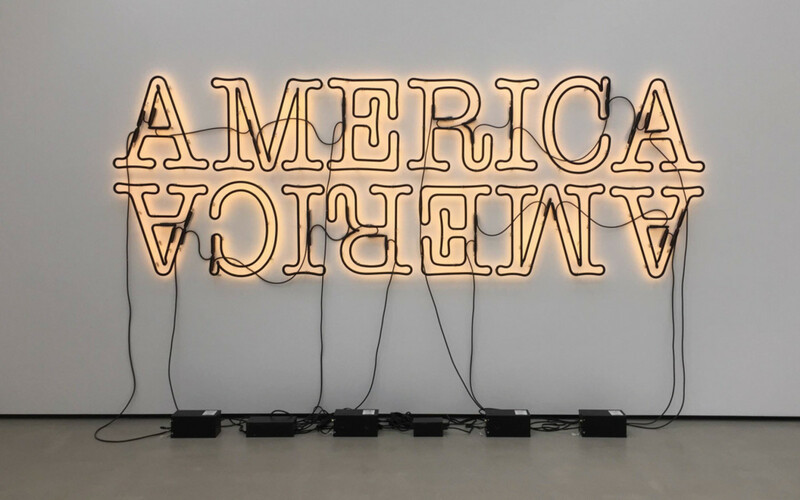 By the time I found myself in front of the actual art, Glenn Ligon&apos;s 2006 Double America, I&apos;d seen it on countless feeds—any self-respecting Instagrammer knows the neon flashing is perfectly timed for a Boomerang. Standing in front of it, watching ten people pose next to it in the span of as many minutes, I became hyper-aware of the irony of the art. Ligon&apos;s piece calls to attention the double America, "the idea that we are living in two very different countries," while playing a feature role in two other spaces we all live in: online and real life. 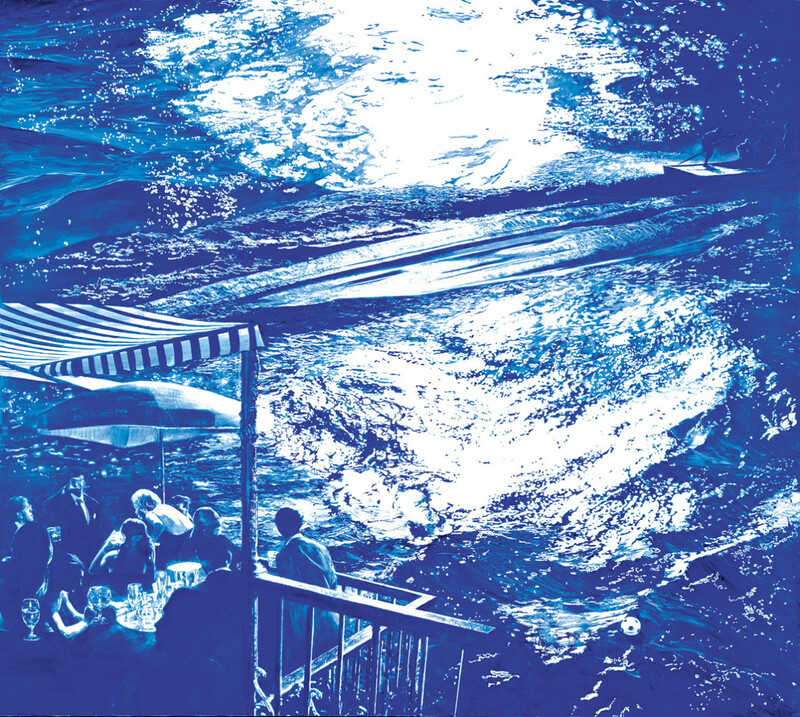 At one point, my boyfriend and I were standing in front of a painting, Mark Tansey&apos;s Wake, when a docent asked, "Can you see the face in the water?" He motioned for us to stand next to him, to the left of the piece, so that we were looking at it from a 30° angle instead of head-on. 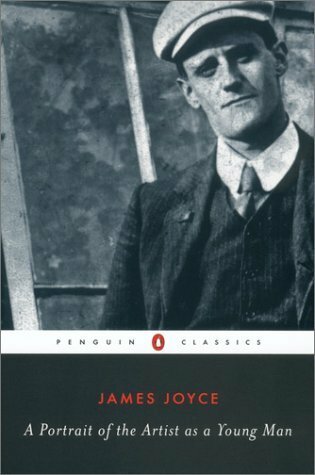 As soon as we joined him, we both immediately saw the image of James Joyce depicted on every paperback edition of A Portrait of the Artist as a Young Man, crystal-clear in the wake of the boat but only viewable from that exact spot. It was as if a secret had been revealed that only we knew. As soon as we realized it and said something to the effect of, "How amazing!" other museum goers noticed and walked over to the painting—far from the flashiest or most recognizable piece of art in the room—and began snapping photos of the art, head-on. By not walking around the piece and taking time to look at it, they&apos;d missed a significant part of what makes it so interesting. To be clear, I have no problem with people taking photos of art. Some pieces invite it, like a selfie in Barbara&apos;s Kruger&apos;s untitled mirror, and I totally understand the pull of a perfectly lit Insta-opportunity—there&apos;s a photo on my own feed of myself gleefully splashing, as if I&apos;m the first person to come across a pool of sprinkles. My frustration comes from people who take photos of art instead of taking the time to really look at it in real life. They&apos;d snap a selfie in front of Koon&apos;s Tulips, pose "thoughtfully gazing" at Warhol&apos;s Jackie O, then walk away while still looking at the image on their phone. If they were taking a photo to be able to remember the experience, wouldn&apos;t they have stayed long enough to look at the real thing? A commenter, who has a B.A. in Art History, thoughtfully wrote in response to my newsletter statement, "I don’t think it’s rude at all. 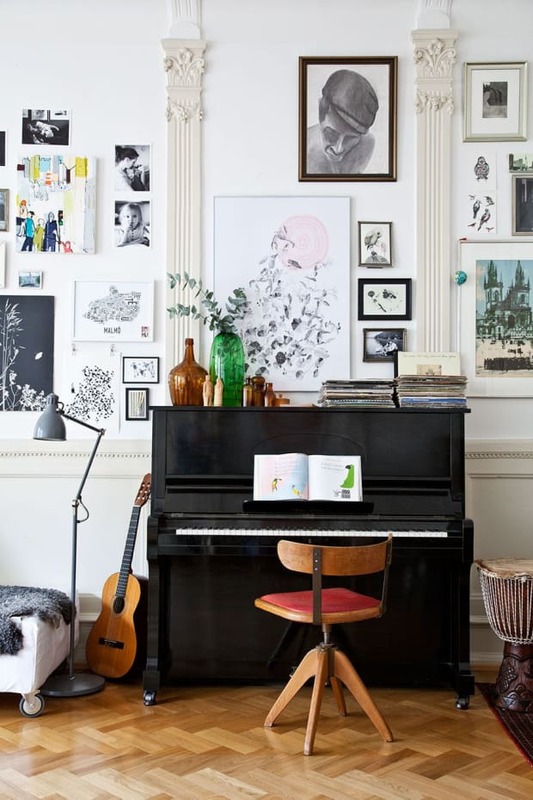 Art is meant to be shared and enjoyed so snap away :). If it’s in a public museum and not a private collection it’s meant to be enjoyed by the masses!" It&apos;s a completely valid point—social media has exposed people to so much art they would have never seen otherwise—but from what I&apos;ve seen on my own feed, the posted photos don&apos;t say "Look how powerful Glenn Ligon&apos;s Double America is" as loudly as they say, "Look how cultured I am from spending a Saturday at The Broad." This week, I coincidentally listened to a Ted Radio Hour episode where artist Gabriel Barcia-Colombo, addressed this phenomenon. He said, "We&apos;ve all become collectors of media, and so when people visit a museum now, they see it just as another part of their collection. And you&apos;ve got this device that you&apos;re carrying around with you, like a jar that you&apos;re collecting insects in." I love Instagram, and I think it&apos;s an incredibly powerful tool for connecting with people, discovering new places, and finding inspiration. But since visiting The Broad, I&apos;ve become hyper-aware and cautious of capturing moments for the sole purpose of putting them into my "insect jar." 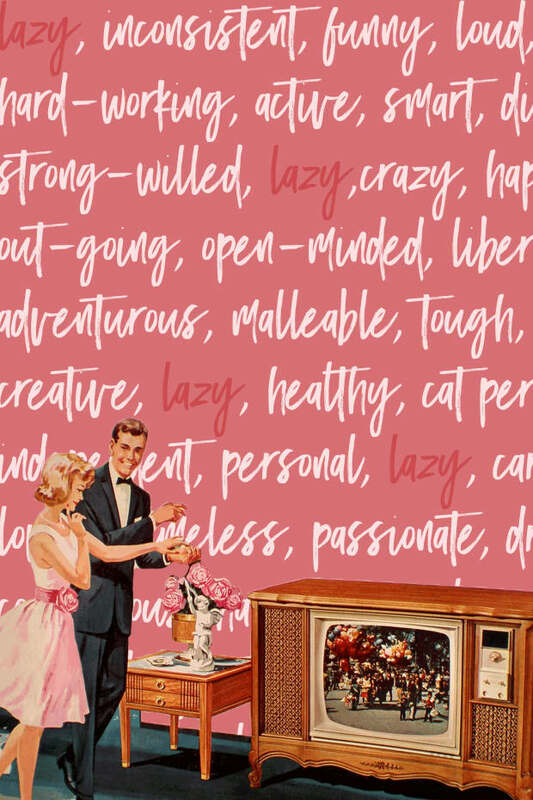 There are certainly times to record—and it often feels like a catch-22 of wanting to be in the moment, while capturing it forever—but whenever I feel that twitch now to start recording my favorite song at a concert or brunch with friend, I ask myself: Will this dull the experience of the real thing? And if so, is it worth it? As a result, I&apos;ve gone nearly two weeks without using my phone to take a single photo, which has actually felt like a weight off my shoulders. I can just be, and have more moments that are mine. How many "James Joyces in the wake" are we missing out on because we&apos;re experiencing life through a 5.5-inch screen? P.S., What do you think? Are you on the same page, or do you completely disagree? Share in the comments below—I&apos;d love to read your thoughts!